Downtime was short though as there were two more races at the weekend but at least we could make it fun! Friends Josh Bauer and Peter Olejniczak (Donkey Label Racing) came over to Oudenaarde on Thursday to play bikes. 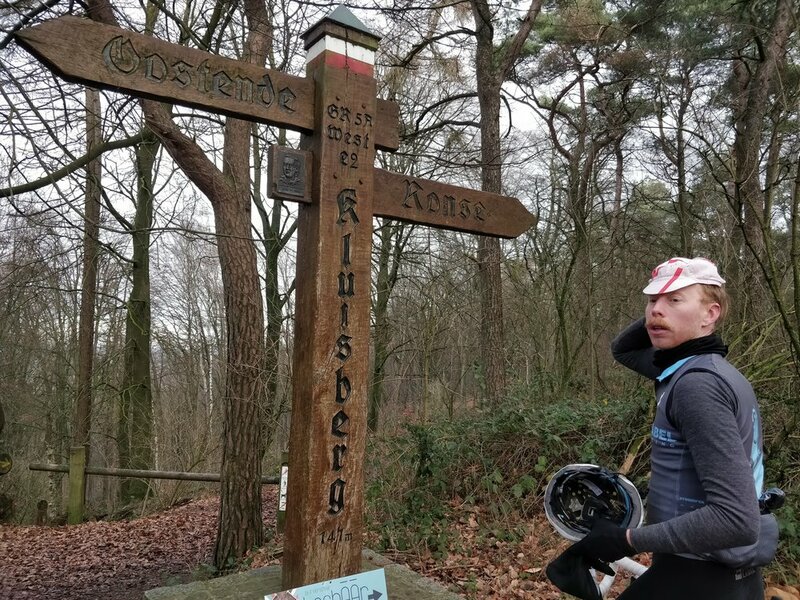 We rolled over to Kluisbergen to check out the Kluisbos and enjoyed a bit of exploration along the way. On the way back home we swung past the bottom of the Koppenberg to take photos and ride up part of the cobbled beast. But since you can’t just ride up part of the climb, we all ended up riding to the top. It was a great spin with friends and a good way to mentally reset for the week. Friday we headed back to the same forest for some more focused openers on the trails. I was a bit cautious with my effort, not sure how much gas I had in the tank for the races ahead, but mustered up enough energy to break a sweat. I don’t normally train with others, so being able to rip some trails with Becca, Emily, and Kerry was a welcome change for me! The first race of the weekend was a small(er) race in Gullegem, just a short 30 minutes away from Oudenaarde. The Kerry’s and I had a leisurely morning before heading north. The course itself was pan flat with some flyovers thrown in for good measure. From the start line the road narrowed just before the right hand turn through an alley and onto the grass. Once over the first flyover, riders were immediately confronted with a long sandpit that was rideable with the right line and enough torque. After a huge set of stairs the course navigated some off-cambers and short dips. But the strangest feature were two short staircases before the finish. The stairs themselves were short and steep, only four steps tall, but a bit too high to hop. So instead you had to dismount and then decide to ride or run to the next mini-flyover. Quite the dilemma! Since this was a smaller race, I was on the second row of the grid and lined up right behind Kerry Werner. Before the race, Kerry talked about getting the holeshot and he is a rider I’m familiar with so I thought lining up behind him would be a safe bet, but off the line, Kerry pulled out of his pedal. I was quick to move around him and continue moving forward. I had a flying start, pushing up in the bunch but by the end of the pavement. But don’t worry folks, Kerry passed me back on the inside as we made the right turn. Michael Boros also tried to pass me back but put his shoulder underneath my arm on the outside of the turn. Not sure why he chose to do that, but he didn’t get passed me at that juncture. I was feeling pretty good about it and was trying to stay as far up in the peloton as possible. With other riders like Gary Millburn around me, I was pretty confident that I was doing just that. Even though I was off to a good start, I still wasn’t comfortable handling my bike around the course. The conditions were slightly greasy, but there was plenty of traction. I should have kept on the gas and railed the turns, but at each corner I was grabbing too much brake, eventually falling back through the group a bit. I settled into the next bunch of riders and refocused myself to keep my head in it. But just as we started the third lap, my front tire started to go flat. Fortunately, I noticed just before the pits, and could come in to grab my spare bike, but the mechanical was a blow to my already waning focus. Alone, I was in a battle with myself and the course. It wasn’t until my final two laps that the technique started to click in my head and translate into better lines around the track. It was too little too late though and I was pulled with one lap to go. To add insult to injury, I watched as the group of riders I was in before I flatted, finished on the lead lap. Back at the car, I was frustrated with my performance and wishing that I could go back to the race and do a million things different. But time travel isn’t possible, and rather than fret about the past, I chose to look at the positives and make a mental checklist to do better on Sunday. 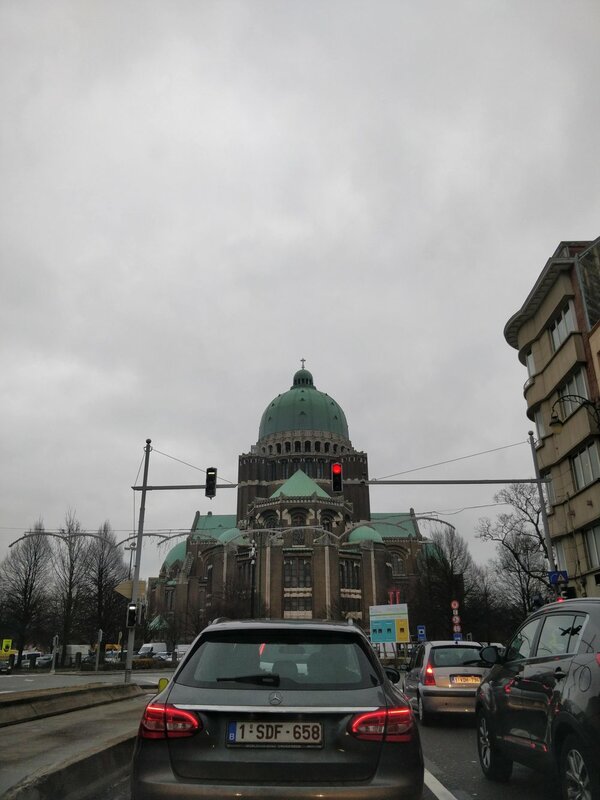 It was another cold, gray day in Belgium on Sunday. Again the boys (the Kerry’s and I) had a relaxed morning before driving down to Brussels for the next round of the DVV Trofee. 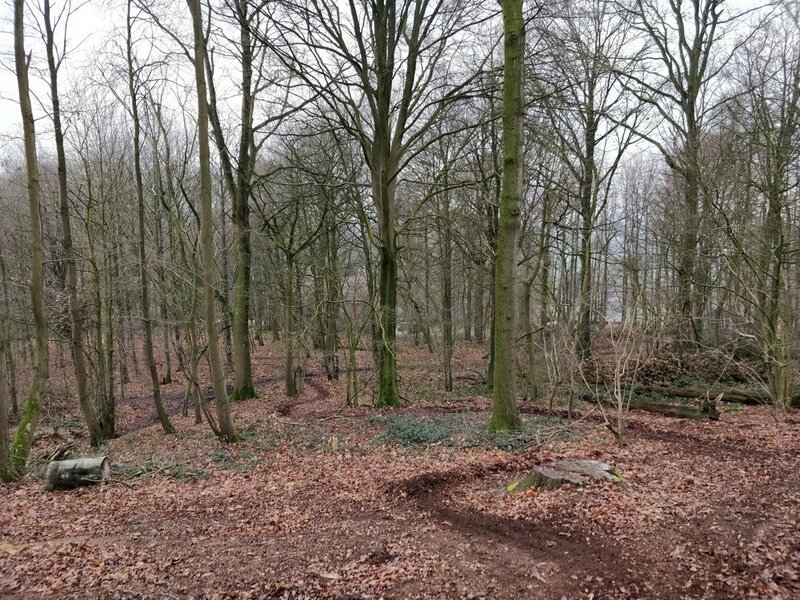 The Brussels Universities Cyclocross was the first time the race has been held. The course was new to all and there was a bit of mystery around what features we would have in such an urban environment. Spolier alert, there were plenty! Checking the course on pre-ride the course was one of the more technical tracks I’ve raced here. With a few steep drops, one gnarly, rut-less off-camber, and a muddy amphitheater, the challenges were many. 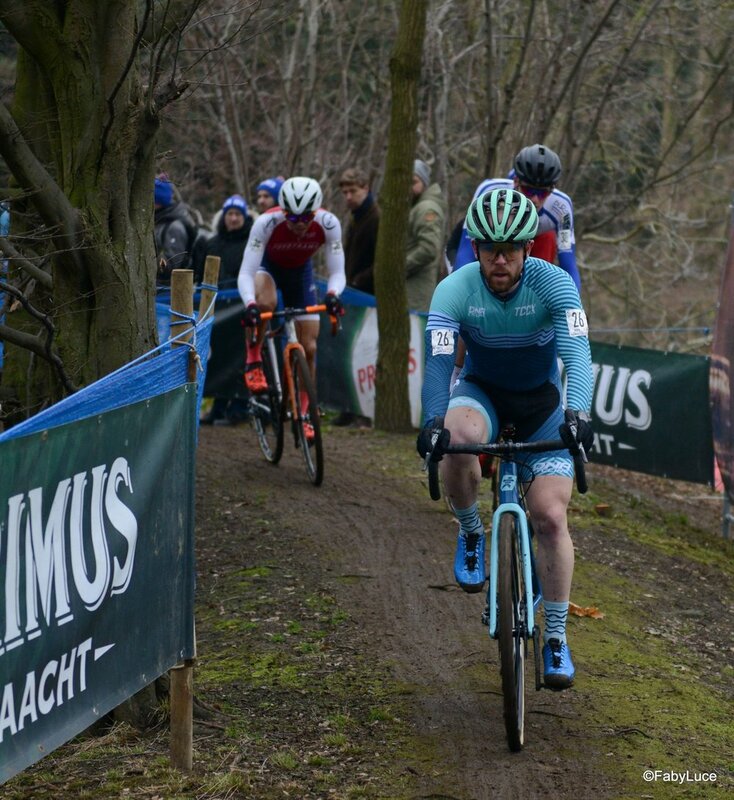 I took a few laps and tried to dial in my lines for the race ahead, but as I sat on the line – next to former World Champion, Lars Boom, no less – I was not super confident. Unlike the day before, I did not have a good start. I missed my pedal off the start and was shuffled to the back of the pack. This meant that I was off my bike and standing more much of the first lap. Since there was only one line through some of the drops and turns, I really didn’t have an option but to queue up. Once we reached the pedaling part, it was wide open on the throttle and I tried as best as I could to hold wheels. The first lap sorted itself out and I was in a bit of no-man’s-land. Since I had to run many of the muddier parts, my cleats were clogged up and I was losing time to the group ahead as I banged them out on my pedal, but the riders behind weren’t quite closing fast enough, so I was stuck. At least I had enough space to take my own lines! I was eventually caught by said riders, but my lack of confidence on the technical sections translated into more lost time. Low confidence became low motivation, and while I wanted to do well the wind was gone from my sails and I was ready for the race to be over. The commissaires let me roll one more lap, and I could hear the MVDP Express coming behind. The goal of not being lapped on live TV was enough to spur me on for my laatste ronde, getting pulled in an apathetic 25th. Again I was frustrated with myself when I got back to the car. I know that I have the skills and the aptitude to make it around a cyclocross course much faster than I have been doing. But the stress of racing on both my body and my mind left me wanting to drop out of the race. I gave myself a few moments to process the performance and then put those thoughts in a box and closed the lid. With no racing on the horizon, it was time to take a step back and enjoy the bike once again. My friend Connor Sallee texted me in December to let me know that he would be in Nice for the month of January. We went back and forth on how and when we could meet up while we were both on the same continent and much closer geographically than we are in the States. With the Kona crew heading off to Spain, I decided to pack up my bike and head down to the Cote d’Azur for a week of riding in the sunshine. As I landed in Nice, I broke out the casual sunglasses for the first time since November, and was already smiling when I stepped out into the bright sunshine. It should be a good week ahead and offer not just training time, but also a chance to enjoy a bit of good company and good miles along the way.